The Independent National Electoral Commission (INEC) has said that only Smart Card Readers deployed by it for the general elections can authenticate Permanent Voter Cards (PVCs) and communicate to its system. The commission made this known in a statement on “Fake News Alert’’ published on its website and its social media platforms on Wednesday, in reaction to a video clip circulating on the internet. The Nigeria National Petroleum Corporation (NNPC) has cautioned politicians to stop dragging the corporation into partisan politics as this may have a negative impact on its performance. This was revealed in a statement released on Wednesday in Abuja via the corporation’s spokesperson, Ndu Ughamadu. On Wednesday members of the House of Representatives commenced debate on the 2019 appropriation bill presented by President Buhari. In December 2018, Buhari proposed a budget of N8.8 trillion for 2019. The Federal Government has filed charges against the Director-General of the National Broadcasting Commission, Modibbo Kawu, Pinnacle Communications Limited; its founder, Lucky Omonuwa; and its Managing Director, Dipo Onifade, for alleged fraud of N2.5bn. The presidential candidate of the African Action Congress (AAC) Omoyele Sowore, has promised to pay workers 100,000 as minimum wage if elected as the next president in the forthcoming elections. 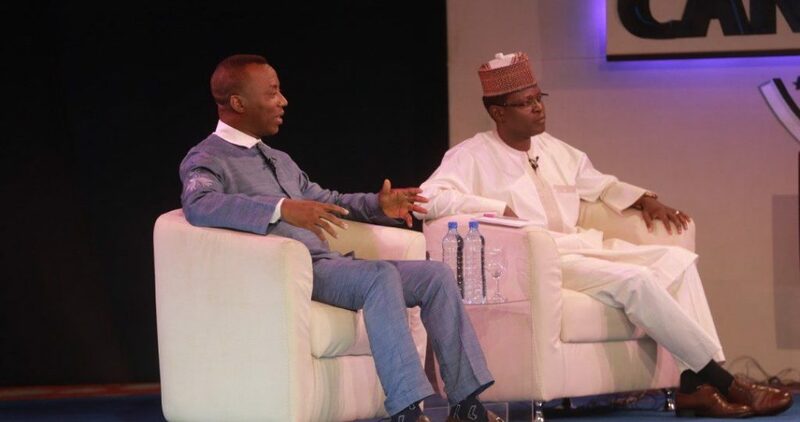 Sowore made the pledge at a town hall meeting tagged ‘The Candidates,’ organised by the MacArthur Foundation in collaboration with NTA and DARIA media in Abuja.